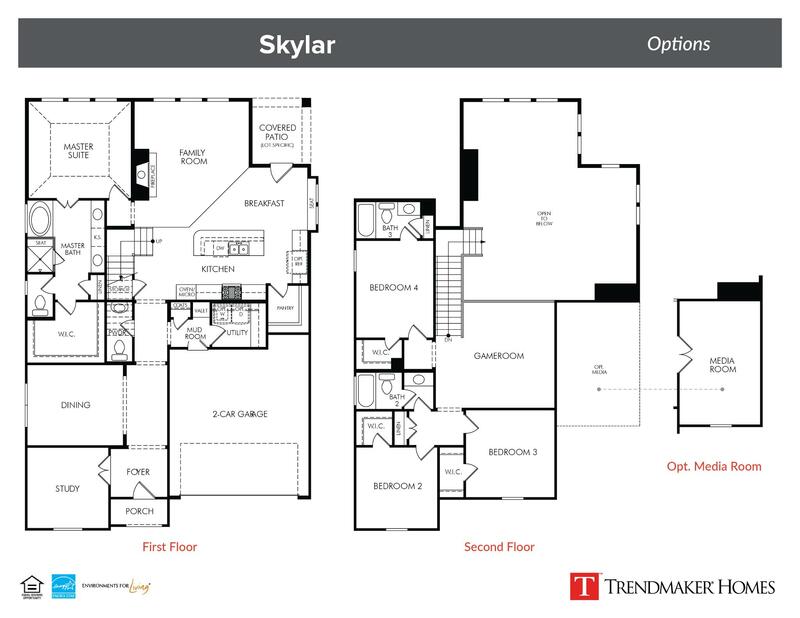 The Skylar features a modern, open layout and is designed to impress. You’ll fall in love with the beautiful kitchen comprised of stainless steel appliances, a large center island, and giant walk-in pantry. Not to mention, the secluded master suite and gorgeous master bath with separate tub and shower, and oversized walk-in closet are a must-have. Entertain guests in the airy family room or upstairs gameroom, or cozy up next to the fireplace for a more relaxing evening.